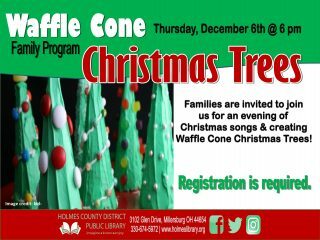 Families are invited to join us for an evening of Christmas songs and creating the alternative to a gingerbread house – Waffle Cone Christmas Trees! Registration is required. Children will need to be accompanied by an adult.